Youth Our youth group is a dynamic, vital part of our church. See what the excitement is all about. Adults Discipleship, fellowship and spiritual renewal are hallmarks of our adult groups. Senior Adults Having learned life's lessons, our seniors enjoy sharing, teaching and fellowship together. Worship Two worship services on Sunday mornings. Sunday School Plug into a class. Christian Life Center Our activities ministry includes Upward Basketball, Fellowship Suppers and more. Resource Areas & Library Books, media & a variety of other materials are available for checkout. Music Make a joyful noise unto the Lord through music. Kairos Seeks to create and sustain strong, supportive Christian communities within prisons. Stephen Ministry Offers distinctively Christian care to individuals goinng through difficult times. DeColores A method of spiritual renewal. 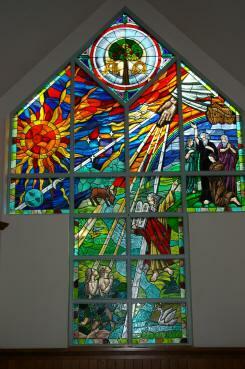 Stewardship / Lord's Acre Has been a tradition in the Madison United Methodist Church since 1961. Scouting Madison UMC sponsors Boy Scout Troup 279 and Cub Scout Pack 298. Special Services Held throughout the year for special occasions. Weekday Preschool Program Program ages being at 15 months of age to 4 years old. Weekday After School Program Provides a safe, fun and Christ-filled atmosphere for after school Kindergarten through 5th grade students.